Stephanie Alcala speaking at the biennial ASIC conference in Portland. Photo by Eduardo Trauer. 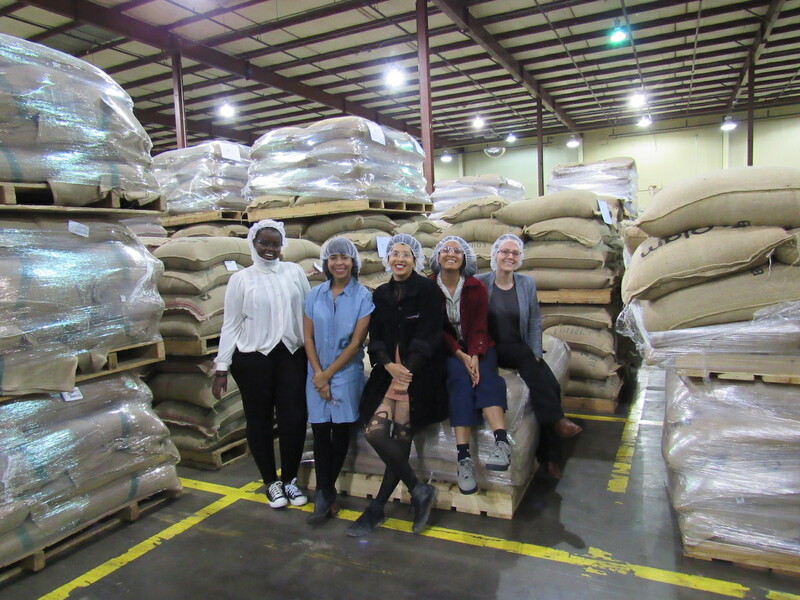 It has been an eventful year for academic turned coffee professional Stephanie Alcala, who recently joined the team at San Fransisco-based roasting company Coffee Manufactory as sustainability supervisor. In addition to earning a master’s degree in Ecology and Evolutionary Biology Frontiers at the University of Michigan this past Spring, Alcala became a recipient of the Specialty Coffee Association‘s (SCA) 2018 Re:co Symposium Fellowship and the first-ever SCA Leadership Equity and Diversity (LEAD) Scholarship. 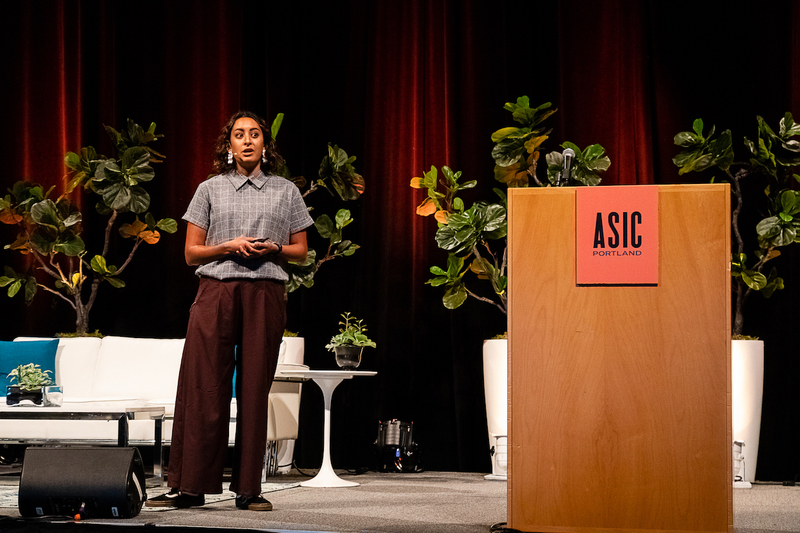 The recent graduate also presented research on genetic variation in the Gesha cultivar, as well as a scientific poster on coffee-avocado intercropping in California, at the Association for Science and Information on Coffee (ASIC) in September. 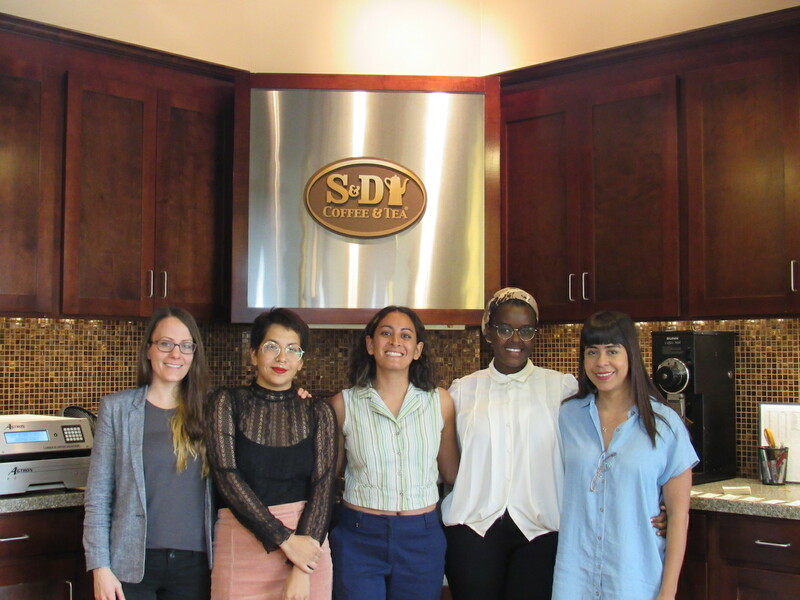 Stephanie Alcala touring S&D Coffee & Tea as part of the first LEAD Scholars meeting. Photo courtesy of Stephanie Alcala. Alacala found herself at a crossroads after graduation, trying to figure out how to turn her blossoming interest in specialty coffee into a career. 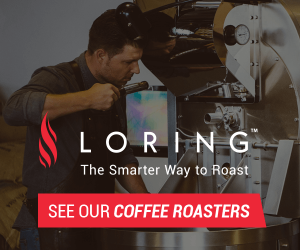 After reaching out to SCA Chief Research Officer Peter Giuliano for advice, a series of conversations and fortunate events led Alcala to a meeting with Chris Jordan, the founder and CEO of Coffee Manufactory. Alcala’s new role will enhance Coffee Manufactory’s efforts to establish a self-sustaining supply chain by harnessing the power of technology to monitor an established set of key performance indicators. The company is aiming to equip producers with tools to track and self-verify their own sustainability practices, while promoting data transparency relating to socially, environmentally, and economically viable means of production. The five recipients of the first LEAD Scholarship. Photo courtesy of Stephanie Alcala. Over the summer, Alcala was named as one of the five recipients of the SCA LEAD Scholarship, a new program sponsored by S&D Coffee & Tea. 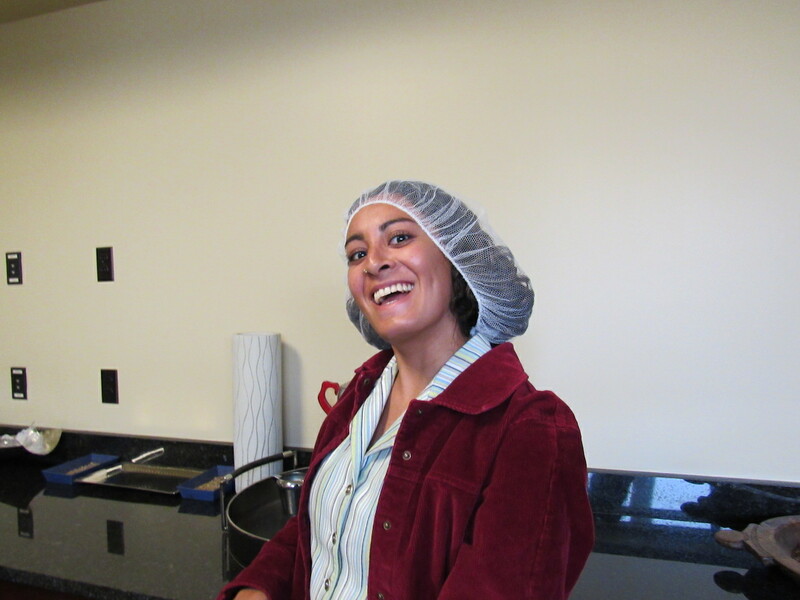 Created with the goal of diversifying the coffee industry at the leadership level, the scholarship provides individuals such as Alcala with professional development and networking opportunities. The seeds of Alcala’s coffee career were planted when she was working as a barista at Los Angeles-based Groundwork Coffee Co., where she became fascinated with coffee as a plant. 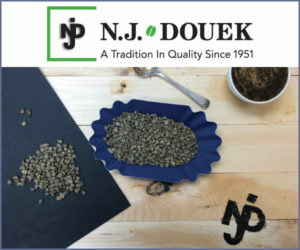 “I wondered how coffee was able to grow across so many different regions and ecosystems, and how so many factors contributed to what it would ultimately taste like,” said Alcala. S&D Coffee & Tea headquarters tour. Photo courtesy of Stephanie Alcala. Drawing on this newfound inspiration, Alcala focused her master’s research on the genetic variation in the Gesha cultivar grown at Hacienda La Esmeralda in the Chiriquí Province of Panama. Through this project, the research team was able to identify the differences that existed between a sampled population of Gesha plants. They found that morphological differences of Gesha plants are not driven solely by genetic variables, but rather a combination of genetic variations and phenotypic plasticity (related to how plants cope with variations in environment), and discovered a wide range of genetic variation exisiting within the cultivar. The team also identified significant genetic variation in the ‘Gesha dwarf’, with one Gesha dwarf sample seeming to be more closely related to the sampled Catuai cultivars than the other Geshas in the study. 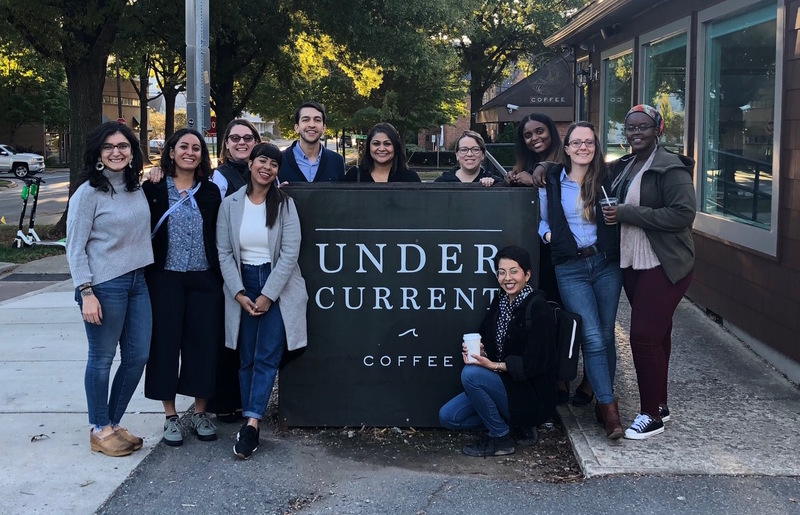 The 2018 LEAD Scholars visiting Undercurrent Coffee in Charlotte, North Carolina. Photo courtesy of Stephanie Alcala. What troubles me most is that we simply aren’t paying our producers enough. 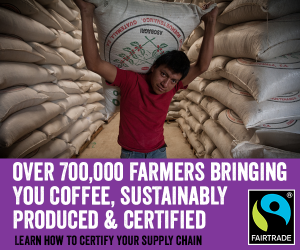 We need to shift our efforts to be more origin and producer focused. Without financial viability, we cannot expect producers to tackle environmental and social issues. 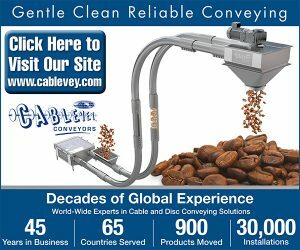 We need to continue to have frank conversations about topics such as the cost of production and the cost of living at origin. 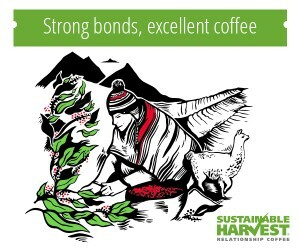 There is a demand for specialty coffee, therefore our industry has the ability to pay our producers more, not only covering the cost of production, but providing an opportunity to invest in their future by implementing climate mitigation strategies or establishing a financial safety net. Transparency is an essential component to figuring out solutions to these pressing issues. I’m most inspired by coffee’s ability to bring people together, captivating people from around the world and inspiring many to dedicate their lives to it. 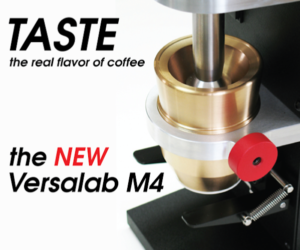 Coffea Arabica is an incredible plant and, through human innovation, specialty coffee has become so multi-dimensional that people are able to identify certain aspects of the industry that they feel most connected to and where they feel they can thrive and discover self-satisfaction. I am most inspired by the people who want to use coffee as a vehicle to drive global development and improve the socioeconomic livelihoods of others. Using one’s passion for coffee to help others is, in my opinion, the coolest thing someone can do with their career. I would have a career in bat ecology. I interned with U.S. Fish and Wildlife and had an opportunity to conduct acoustic monitoring surveys on bat populations in Rhode Island. Bats are fascinating and they play vital role in our ecosystem. It’s wild to think about the different paths our lives could take, but I’m stoked to be working in specialty coffee and wouldn’t have it any other way.